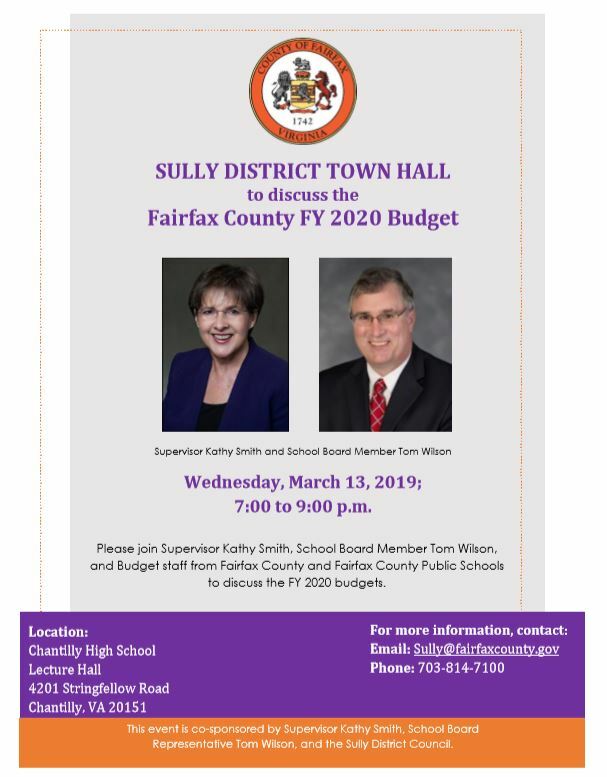 The Sully District Council of Citizens Associations will meet at 7:00 p.m. on 27 February 2019 , in the Sully District Governmental Center Front Meeting Room, 4900 Stonecroft Boulevard, Chantilly, VA, 20151. The meeting will be canceled if Fairfax County Schools or after school activities are canceled due to adverse weather the day of the meeting. Has yours made plans to join us for 2019? What is it and how what it does affect us? We had 3 Sully cases set for public hearing at the PC on 20 February but the meeting was cancelled because of the snowstorm. The FDPA application seeks to amend the Final Development Plan for RZ 78-C-118 previously approved for mixed use development to replace a financial institution with a drive through with a restaurant with a drive through. The proposal will not impact the proffered 0.25 FAR. The SE application seeks approval to permit a restaurant with a drive through. To view the staff report, click here. The applicant seeks approval of a rezoning on Tax Map 34-4 ((1)) Parcels 51 and 53 to rezone from the C-8, HC, WS to C-8, HC, WS Districts to consolidate two previous rezoning applications (RZ 90-S-010 and RZ 94-Y-018) under one application and set of proffers. The applicant seeks approval of a special exception amendment on Tax map 34-4 ((1)) Parcels 49, 50, 50A, 51, and 53 to allow for the continued operation and expansion of three vehicle sale, rental, and ancillary service establishments. The applicant seeks approval of a Comprehensive Sign Plan for the "Emerson" multifamily residential development in the Trinity Centre development in Centreville. All 3 cases likely will be moved to 3-14-19, and readvertised. Staff is going to let the applicants know. PC Telecommunication Committee meeting â€“ 2/27/19 at 6:30 p.m.
Planning Commission Public Hearing â€“ 3/20/19 at 7:30 p.m.
Board of Supervisors' Public Hearing â€“ 4/9/19 at 2:30 p.m. The draft Zoning Ordinance Amendment has been written very broadly and with many options. They have taken into consideration all of the previously received comments, and most of the suggestions have been incorporated into at least one of the options. To help in understanding the draft Zoning Ordinance Amendment and options, see the above draft staff report summary. There is a "white" paper on the proposed Zoning Ordinance amendment, see below. 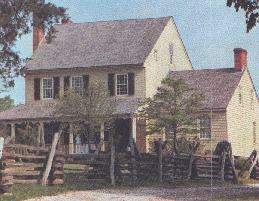 An amendment website has been created at https://www.fairfaxcounty.gov/planning-zoning/zoning-ordinance/wireless-telecommunications-infrastructure and future updates will be added, including the white paper. The website includes a link to the draft Zoning Ordinance Amendment. In terms of outreach thus far, staff has created the website; scheduled the meetings listed above; sent out listserv messages to the Zoning Ordinance Amendment and zMOD listservs; met with the zMOD Land Use Attorneys and Citizens groups; will be meeting with the Board of Supervisor's land use aides on 2/15; coordinated with the Architectural Review Board; and sent out a notice and a request for input to those individuals who have previously expressed an interest in the amendment (this includes most of the major telecommunications carriers). For information on the proposed Zoning Ordinance Amendment, you may contact Lorrie Kirst, Senior Deputy Zoning Administrator, at Lorrie.Kirst @ fairfaxcounty.gov or at 703-324-1309. For information on the proposed Policy Plan Amendment, you may contact Bryan Botello at Bryan.Botello @ fairfaxcounty.gov or at 703-324-1375. The white paper Handout Regarding the Proposed Wireless Telecommunications Zoning Ordinance Amendment is available. The handout summarizes the 2018 State Code changes and the 2018 FCC Ruling that are prompting the need for the Zoning Ordinance amendment, and provides a summary of the 3 proposed options with benefits and challenges of each option. What does the future of Fairfax County look like? 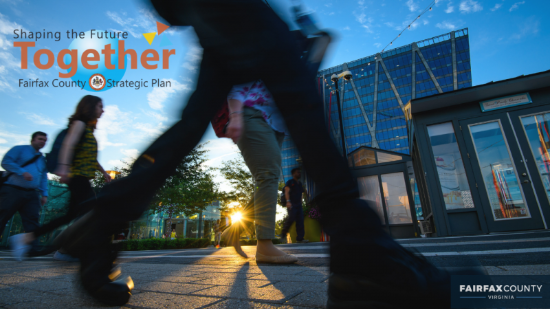 Fairfax County Government is beginning a strategic planning process with the community to shape the future together. Its goal is to hear all voices and reach all segments of our community. The county will hold engagement events in every region of the county. The meetings will be organized into moderated conversation groups of residents from your local community where you will have the opportunity to share your thoughts, insights, opinions, and experiences that will be used to help shape a countywide strategic plan. Arrangements for child care and transportation assistance, and interpretation services can be made by calling Amy Ordonez at 703-787-4962, TTY 711, or emailing amy.ordonez@fairfaxcounty.gov. The Planning Commission will meet on Wednesday, February 27, 2019 at 7:30 p.m. at the Fairfax County Government Center (12000 Government Center Parkway, Fairfax, VA 22035) in the Board Auditorium. The meeting will be broadcast live on Channel 16. Meetings are also recorded on videotapes and audiocassettes, both of which are available for review at the Planning Commission office, by appointment. There is one Sully case on the agenda. On May 15, 2018, the Board of Supervisors authorized the consideration of Comprehensive Plan Amendment 2018-III-DS1, for Land Unit J of the Dulles Suburban Center. The Board motion stated that the Plan amendment should consider the addition of new land uses generally within the current overall baseline intensity of .05 FAR, and that the review should include potential new areas for residential development, including areas not currently envisioned for residential use by the Plan as a result of airport noise contours identified on a 1992 map. To view the staff report, click here. Next month's meetings will start at 7 PM in the Sully District Governmental Center Front Meeting Room, 4900 Stonecroft Boulevard, Chantilly, VA, 20151, unless otherwise indicated. The Joint Sully Land Use and Transportation Committee is scheduled for Monday, 18 March 2019.